Due to the rain, we held our annual open Solstice ritual in the basement of the Little Old Bookshop in Whittier. We focused on the new year coming, and calling the light back to return to us, which seems especially applicable due to all of the rain we are getting. Of course, living in southern California, we need it- I can just imagine it making the soil of my future garden very happy! But, we aren’t used to getting this much rain, all in a row. Anyway, we had a great wine, and stayed up until all hours of the night, eating yums, and drinking wine- talking about everything from our future, to politics and prank calls. What a fun way to end our official open solstice evening. This evening, we are getting together to celebrate the moon and the actual solstice with wine and fellowship. Blessed be! Also, we will be opening to new dedicants this spring. If you are interested in our coven, please check out our website (that links to our blog) or our November 2009 archive , fill out the dedicant petition, located here and send to me (Ivy) at barefootwitch@gmail.com. Below are a few ritual ideas for Samhain, some are great for solitaries, while some are better suited for groups. Many rituals will focus upon one or two of these themes. Non-ritual idea: Get together with friends, and have a divination night where you teach one another a type of divination- it’s a great way to get introduced to different ways to divine. In to a medium bowl, sift together flour, baking powder, baking soda, cornstarch, pumpkin pie spice, cinnamon, salt, then add in the brown sugar. Add pumpkin, soy milk, vanilla, margarine, & vanilla; beat with an electric mixer on low speed or whisk until just mixed. Add the apple cider vinegar & carefully fold it in until just mixed. Fill the wells of your donut pan almost to the brim. Bake them for 10 minutes, or till golden brown. Remove the doughnuts from the oven & allow them to cool on a rack. If you like a thicker glaze, add more confectioners sugar, to make it more icing-like. After the doughnuts have cooled, use a spoon to drizzle the tops, allowing the excess to fall to parchment paper below your cooling rack. But anyone who has any concept of the actual religion of Wicca would know better. There is this “Witchier than thou” ego-centric crap that has made its way through the Pagan community, and it sickens me. Guess what? What we do is not more right or more wrong than what your tradition does. There is this strange misconception that Wicca is all about love and light, and harming none. This is incorrect. The Wiccan Rede is indeed: An’ it harm none, do as ye will. However, the word “rede” means advice. Not law, advice. We are advised to do what we will, while it harms none. Most Wiccans believe in some sort aspect of the Law of Return, or the Threefold Law. This means that what we put out, will come back to us- summed up it means personal responsibility. Can I do something that might affect someone in a negative way and still be Wiccan? This is a question that does come up from time to time. The idea of what I put out coming back to me is what keeps me in check, regardless of the Rede. Many people think that Wiccans shy away from protective magick that sends negative energy back to the sender. I am Wiccan, but I am also a Witch. I will protect and defend myself, my family and my coven sisters. Period. If I need to be the hand of the Gods and return what another person puts out, so be it. Does this happen often? No. Will I take responsibility for whatever backblow occurs? Absolutely. Will I still honor both the God and Goddess, celebrate the Sabbats and the moon, circle within the Wiccan ritual structure, use traditional Wiccan tools, and honor polarity, both light and dark? Of course. This can be a little different if one is part of a coven, as then we have hive mind and other issues at stake, of course- that’s where perfect love and trust come in (but that’s another blog post). Generally, I think that Wiccans are associated with love, light, etc. because one of the goals that many of us have is personal growth and achieving a successful life balance. 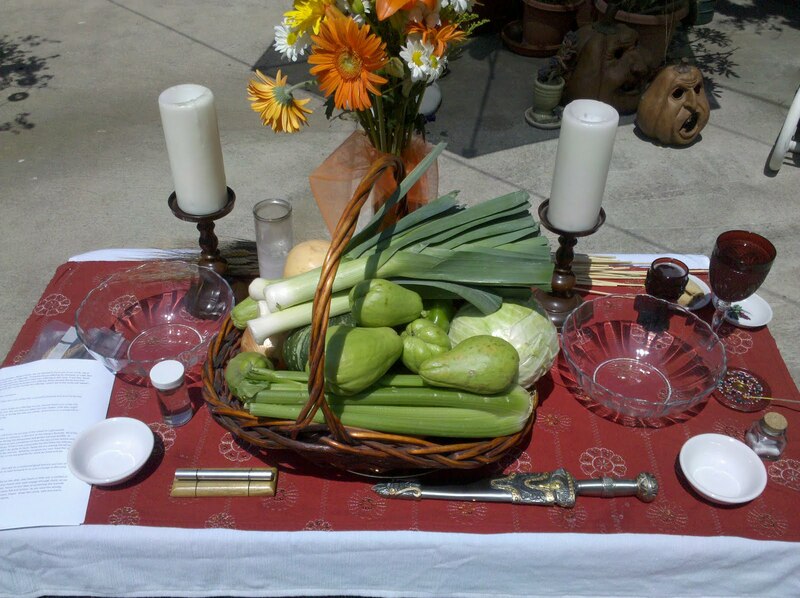 So, maybe Wiccans are more perky than your average Pagan? That doesn’t mean that they aren’t doing shadow work to get to know themselves better. And if they are- it’s none of your business. Our relationships with our gods aren’t your business either. If you are a non-Wiccan witch and get offended and upset when people automatically assume you are Wiccan, examine that. Why do you feel this way? Wicca is the most widely known tradition of Paganism. Use it as a teachable moment, not a moment to clutch your pentacle (in lieu of pearls, of course), and gasp- “I’m not one of them!” Explain the difference, don’t propagate more misconceptions of Wicca. While Wicca is more structured than many other Pagan traditions, this doesn’t mean that there isn’t room for flexibility and self-discovery. This is just done with a healthy respect of polarity and balance. This isn’t fluffy- Wicca is more deeply faceted than you might ever think. *In this post, I may generalize, but keep in mind, my generalization as Wicca and Wiccans, includes only those who are traditional-style Wiccans | This was cross-posted from Ivy's blog- Beyond the Circle. One of our sisters, Blood Rose, has been on a sabbatical from the coven since the birth of her second child. She has decided to leave the coven for now, and hopefully, when her sons are a little older, re-join. Blessed be, sister... we'll miss you and your energy (now I have to be on the hunt for another earth ;). Our inner court meeting was fairly interesting- we heard lots of shouts and sounds coming from the house behind our covenstead. Later on, it turned out the police came, guns drawn, searching through the house for someone. Another interesting thing: we found that a hummingbird had made its nest in a hanging buzzard on the patio where we meet. We discussed our plans, including plans for our upcoming open events, as well as the idea of another former sister re-joining our family. We'll be hosting an (open to friends and family) Lughnasadh celebration uring the day on 7/31, and we're planning a campout (open to our friends) on 8/20-22. So, save the date if you are interested! Our next dedication (and classes) will be in late August or early September. During our all-coven class, Rayne presented a workshop on Chakras, and then we worked out some needed dateshifting for our July meeting- we were able to make it work out for everyone. 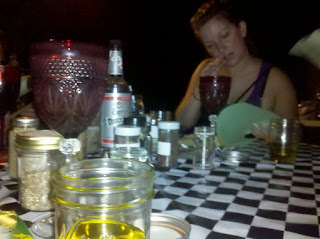 After that, we all got some wine, and Aislin worked through our astrological charts. We also decided a date for our Giant F***ing Jewelry Party that will showcase the talents of our jewelry crafting coven sisters- 7/10. If you like jewelry, you'll be able to come and take a look at the jewelry creations of a few jewelry artists with very different styles. Next months meeting, we'll be working on a coven project, our dedicant will be working toward completing her dedicant project, and two of our sisters will be out of town. We have SO much going on, its so exciting! A few photos from our recent photo shoot. Below are Rayne's photos from Beltane! This past weekend, we gathered in the hills of Central California for our annual retreat. This year, we decided to go camping at Lopez Lake, known for it's wildlife. Though the arrival of all the sisters was relatively staggered for reasons beyond our control, we still had a lot of fun, and we relaxed our souls under the bright spring sun! We were unable to do some of our planned activities, but things happen for reasons beyond our ken. Like the long walk to the bathroom. Uphill. Both ways. And the night got pretty chilly... but we had a lot of fun! Mirth, merriment and bubble blowing were definitely on the agenda. Below is a slideshow of some of our photos- more to come! Last Saturday, we had a meet and greet, inviting women who have expressed interest in joining us. We talked about our group- what we are (structured, hierarchal, casual, fun-loving), and what we aren't (cliquey, drama, patriarchal, Judeo-Christian). We went over our dedicant process, attendance expectations, goals and rules that are very important to us. Women from the SoCalSisterWitches social group joined us afterwards for a rockin full moon party and self-appreciation and love ritual. It was so much fun, and was wonderful to see new faces and meet new prospective sisters. We'll probably have an open circle in the early-mid summer to give our aspirants a feel for how it feels in one of our ritual circles, and then begin classes for those who feel like they want to dedicate themselves to our group. Ostara 2010 was so much fun! 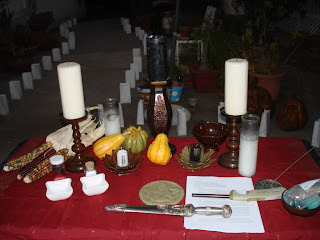 Below is a slideshow of some of our photos from our ritual. Ostara is a celebration of the Spring equinox... we did this by cleansing, consecrating and planting some plants and creating our coven garden. :) And then of course, we had a potluck! Our first esbat of the year went wonderfully! We recieved a few unexpected gifts from the Goddess, and thoroughly enjoyed ourselves. 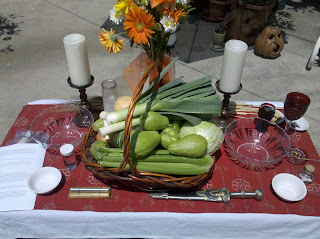 Imbolc was also great - our focus was kindling the spark of hope we have deep within us. We honored Brighid, and began our ritual with a procession with our Brighid in her bed. Beth taught us how to make candle lanterns and we used them during our procession - so much fun! Of course it was followed by a potluck including Rayne's famed hummus pinwheels, roasted butternut squash, "lamb" in phyllo, BBQ "meat"balls, cookies, and tasty cake! Even though it was rainy, we had a backup plan and it all worked out amazingly. We hope your Imbolc went well, and that Brighid kindles the spark of your hopes within your heart! Blessed be!